After twice closing the 20-story downtown criminal courthouse due to flood damage since it was completed in 2000, Harris County leaders are planning to repair the shuttered building so the next time it floods it can be reopened within days – not months – of the water receding. The retrofitting is a bitter disappointment to some of the building’s most frequent users, mostly defense lawyers and prosecutors, who hoped the year-long closing – the second in the building’s 17 years of operation – would convince county leaders to build a new courthouse on higher ground nearby. The towering building, a block from Buffalo Bayou and home to county offices and more than 40 courtrooms, is completely unusable after Hurricane Harvey. It will remain closed for at least the next six to seven months, with some courts and offices not being able to return to operation until as late as July 2019, officials confirmed. The delay means criminal court judges will likely spend a year presiding over dockets in the concrete basement of the county jail and almost all Harris County judges, civil and criminal, will stay doubled up in packed courtrooms in three other courthouses. Grand jurors meet in the historic 1910 courthouse, a blocks away. Four months after the Hurricane Harvey flooded the lower floors, Harris County Judge Ed Emmett said he does not know yet what is in store for the iconic downtown criminal courts facility. Emmett said he waiting for a recommendation from the county engineer, and the county engineer noted that a squad consultants hired by the county are just beginning their analysis. The decision to spend what could be another $20 million to fix a $100 million building has critics asking whether the county is throwing good money after bad at the long-troubled skyscraper at 1201 Franklin. County officials say they want to fix up the courthouse then dive deep into what criminal justice, and county population, might look like in 20 to 50 years. He noted that the internet has fundamentally changed the way we do business in the past 20 years, and the internet will undoubtedly change criminal justice in ways that should be studied before proposing any major construction. He cited Amazon.com as an example of an innovation that fundamentally changed the way Americans shop. Jackson estimated that a new courthouse would cost at least $140 to $210 million. In 2016, Los Angeles built a 25 courtroom facility for $340 million. A 22-story courthouse in San Diego opened earlier this year with 70 courts and a jury assembly room at a cost of $555 million. “Half a billion dollar courthouse and I bet they look at in 20 years and say, ‘What were we thinking?’ simply because of all the electronics and the way the younger people will do business,” he said. See here, here, and here for some background. Seems to me that we’re still going to have arraignments and jury trials twenty years from now, so I’m not sure what lessons from Amazon Bill Jackson thinks we can learn. 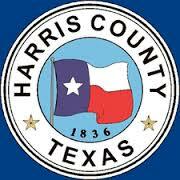 We’re probably going to have a Harris County bond issue on the ballot this year. Why not at least consider the possibility of starting over with the courthouse? It’s a big commitment and would mean a longer time frame for getting things back to normal, but the track record of the current building is not encouraging. How many times will it have to flood out before we think about other options? Amazon is an overarching avatar of disruption and change. Bill Jackson’s reference to it and his stated concerns ring true to me. Getting the existing building back to purpose is a much quicker solution than creating a new facility from scratch, and $20 million for that task isn’t a huge bite. This building is a white elephant for reasons including but not limited to the repeated flood damage. Whatever the county decides to do, it needs to do better to ensure it does not produce any such poorly designed facilities in the future.